~Click on the appropriate link below to subscribe, share or download our iPhone App! may the same Spirit rest upon us, bestowing his gifts. by which we may follow in your footsteps on the path of righteousness. by which we may ward off the Enemy’s attacks. by which we may draw back from evil and submit to what is good. 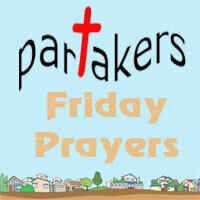 Today on Partakers we are praying a prayer from the Vanuatu group of islands. The origins are unknown. Today on Partakers we are praying a prayer based on the poem "Love is as hard as nails" by CS Lewis. Come on in, download the mp3 and pray with us! Today we pray this prayer to encourage ourselves and others! the King of the Nations flowed forth. after the seed of the Word had been scattered. His inhabiting ended the delays with wonderful order. He gives Himself with His hands. and the wine becomes the Blood of Christ. cedes to a new rite. for defect of the senses. 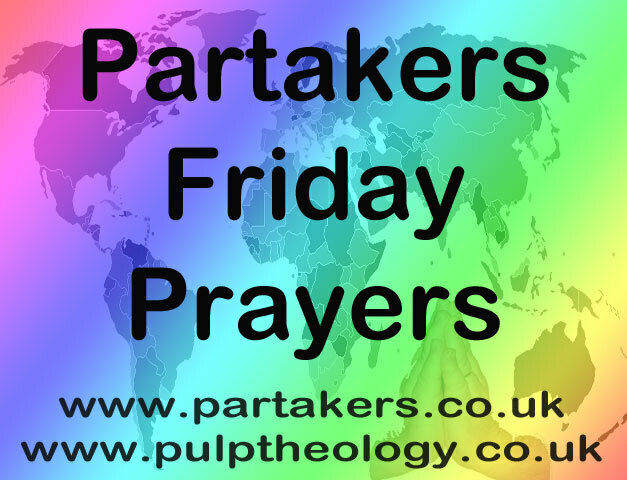 Today on Partakers we are praying a series of prayers for refugees worldwide. As we know, Jesus our Lord, was a refugee when a baby, as Joseph & Mary escaped to Egypt with him. Come on in, download the mp3 and pray with us! and the bestower of affection!